Winner of many international awards (34 High times Cannabis Cups, many Highlife Cups, and many more private awards in many countries), it is leader in cannabis genetics. 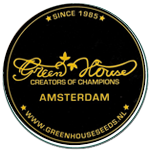 Arjan, owner and founder, has been acclaimed The King of Cannabis. He has always been committed to preserve the best landraces and to create the best genetics in the world, making sure that the growers choose good genetics, based upon their location, logistics and needs. Their feminized seeds are guaranteed the best in the world, and we invest large amounts of time and resources developing new and innovative products for the benefit of the whole community. Check out their unique lab-tests on cannabinoids, terpens and DNA profiles for their strains!